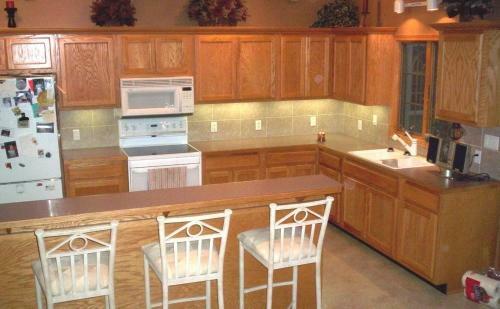 Custom cabinet refacing can quickly transform your kitchen. Renovating your kitchen will undeniably add value and beauty to your home. With the elegant and durable custom cabinets from Alford Home Solutions, you will be one step closer to creating the kitchen of your dreams. We offer free custom Cabinet Restyling estimates in WV, KY, OH, including Saint Albans, Charleston, Huntington, and nearby. Call 1-844-675-6343 or click below to schedule yours today! Does your kitchen look outdated and have limited storage? If you are looking to revitalize your kitchen, contact the Cabinet Restyling experts at Alford Home Solutions! Our elegant wood cabinets are expertly crafted and installed, assuring your kitchen is as functional as it is stunning. If you want to affordably transform your kitchen, but do not want to sacrifice elegant and durable cabinets, then laminate is the solution for you. 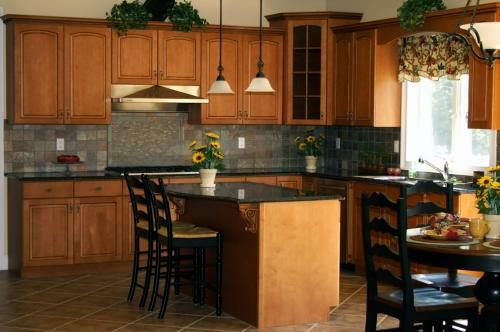 Refacing your cabinets with our expert Cabinet Restylers means never having to settle for stock pieces. 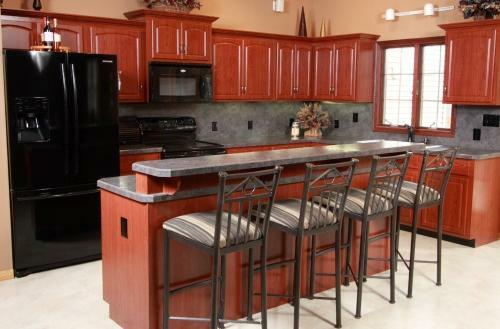 Our cabinets are custom designed to suit your home's specific needs and style. Not sure which custom cabinets will match your dream kitchen? By selecting "options" in the Kitchen Builder below, you can choose from a selection of layouts, wall colors, countertops, and more, so you can preview the perfect cabinets in a kitchen that best suits your style. If you want beautiful, durable, and custom cabinets, then look no further than the Cabinet Restylers at Alford Home Solutions. We offer free cabinet refacing estimates in West Virginia, Kentucky, Ohio, including Saint Albans, Charleston, Huntington, Portsmouth, Athens, Beckley, Ashland, Pikeville, Ironton, Marietta, and other areas nearby. Call 1-844-675-6343 or click below to schedule yours today!